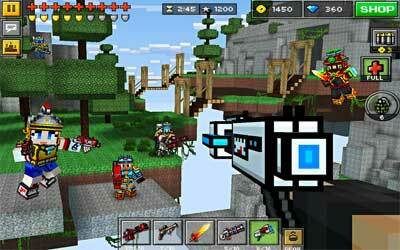 Previous version Pixel Gun 3D 13.3.0 apk for Android will help you to downgrade or install older app easily. This is one of the best Action apps. A bundle of Eastern style guns: Anime Scythe, Eva, Mega Gun and many others! Now you can Duel other contestants for Event Chests. Challenge them and luck will be on your side when you receive your cool prizes!